Social media is still dominating the Web which is good news for companies wishing to improve their social media game. Between 2013 and 2014 the number of adults who use at least two social media platforms rose by 10 percent, and the amount of time spent on these sites has increased from about 2.7 hours a month in 2006 to 9.5 hours in 2014, according to SlashGear. With those kinds of numbers, it's no surprise that more advertising and marketing dollars are being spent on social media. In 2014, the most recent numbers available indicate more than $8 billion was spent for U.S. social-media ads. Business Insider reports that social-media ad spending in the United States could top $14 billion in 2018. Several factors are driving these numbers, but the main one is the expansion of mobile content. During the first quarter of 2015, Facebook brought in $3.32 billion from advertising, and mobile advertising represented 73 percent of those dollars. As the largest social media platform, Facebook captures 58 percent of the market. Business Insider also reports that 70 percent of Facebook users log in daily and 45 percent log in twice a day or more. Such a high level of engagement means few companies can ignore social media, especially since 312 million users access social media, with an estimated 212 million users from the United States alone, according to SlashGear. One of the confusing elements of social media is how to advertise or market on these sites. Part of the confusion stems from the fact that each platform offers unique ad types. For companies trying to decide which social media platform to use, a good rule of thumb is go where your customers or potential customer are. The list below includes ad information, click through rates, and best practices for the most popular social media sites. Active user data for Instagram, Pinterest and LinkedIn was compiled by Social Media Hat. By far the largest social media platform, this site offers the following most ad options. Page post engagement: This is used to promote popular content a company has posted on Facebook. Page likes: The goal of this ad type is to increase a company's page likes - and hopefully increasing their audience. Clicks to website: This is used to send Facebook users to an external website. Website conversions: Use this to track and monitor specific engagements on an external website. Video views: Create ads to promote original videos. App installs: You can promote an app and increase the number of installs. App engagement: Use this to encourage users to use the app after it has been installed. Events responses: Use this to promote a specific event at your company. Offer claims: Use this to create special offers and attract more clients. The strength of Facebook ads is the ability to target by age, gender, location and interest. Using Facebook's robust data collection, a firm can quickly determine what works and does not work in their campaigns. Companies with successful Facebook campaigns give their audience something of value. Best for: Facebook advertising works best for businesses that want to establish an online presence or reach as large of a network as possible. The demographic is aging as younger people abandon the site for other social media platforms. Click through rates: Although Facebook does not publish its click through rate, industry studies peg it at around .05 percent. This social platform offers six types of ad campaigns. Tweet engagements: The goal is to increase user interaction and engagement with a company's tweets. Grow followers: The goal is to "accelerate your relevant follower growth." By doing this, a company should experience more re-tweets and interaction with their followers. Website clicks or conversions: You can drive more traffic to your website with this ad type. Apps installs or engagements: Unlike Facebook, Twitter combines all app-related ads into one category. However, the goal is the same; you can increase installs and engagement with a company's apps. This campaign can leverage the fact that many of Twitter users access the site from a mobile device. Leads on Twitter: This option allows a company to cultivate leads based on collected email addresses. Promoted trends: According to Twitter, this category is a great way to "kick start a conversation, launch new products, run major campaigns or target key dates to drive mass awareness." One of the advantages of Twitter ads is the ability to target followers of a company's competition. Twitter campaigns can also target keywords, phrases or users that visit the company's website. It is a natural choice for a product launch or to build brand awareness. Best for: Twitter advertising works best for companies that want to reach younger men and women. The platform is most effective when a business engages in a two-way conversation with its followers and Tweets are about news, events, promotions or contests. Click through rates: Oddly enough, a recent study determined that more Twitter followers equates to lower click through rates (CTR). The study reported a 6.16 percent CTR for 50-1,000 followers, but the rate dropped to .45 percent for 10,000 or more followers. Sponsored images: This ad type is used to build brand awareness and brand recall. Carousel: This approach was created to let businesses "tell sequenced stories in beautiful, compelling ways that lead to meaningful results." This platform's key strength is the ability to post strong visual images which can develop or solidify a company's brand and identity. Best for: Since Instagram is a visual social media, this platform works well for hotels, restaurants, or any product that lends itself to high-quality images. Its demographic is currently the 20-something crowd. Click through rates: Photographic style is important on a social media site. A recent study determined that 'stock-photo' posts generate a 2.35 percent CTR while 'Instagram-style' images can deliver a 8 percent CTR. Like Instagram, this site has limited ad options. Promoted pins: Pins selected by a company are promoted and placed in the 'most relevant place' of your feed. Video ads: Mobile video ads appear in a user's feed and start to play as the user scrolls down the content. The video pauses when they stop scrolling. Pinterest's two greatest strengths are the shareability of pins -- 80 percent of all pins are re-pins -- and its predominantly female market. Best for: Like Instagram this is another great option for businesses with a highly visual product. Click through rates: This platform boasts a CTR of 1.1 percent, which is close to the 1 to 3 percent organic search CTR on Google. LinkedIn offers several types of ads. Premium display ads: These permit a company to share content with a targeted audience through a display ad campaign. Email marketing (Sponsored InMail): With this type of ad, a company sends content directly to the inbox of a LinkedIn user. Direct sponsored updates: A company's content updates appear in the LinkedIn timelines of a targeted audience. Text ads: Although similar in concept to Google's contextual ads, LinkedIn text ads include a 50 x 50 pixel image and a headline (up to 25 characters) to deliver the company's message. Lead Accelerator is a tool that LinedIn also offers to use in conjunction with a company's ad campaign. It works by delivering relevant content and ads based on a user's behavior while on a company's website. The key demographic for this site is the corporate world. Since one piece of unique data collected by LinkedIn is job titles, this makes it a great site to cultivate relationships with potential employees. Firms that do well on LinkedIn often publish content establishing their expertise in their respective industry or market. Best for: Business to business industries, employment agencies and any firm that services the business world can benefit from this website. With the education and high income level associated with many of its members, LinkedIn can also be a profitable venture with the right, targeted message. Click through rate: Effective campaigns should deliver a .025 CTR or better. This Yahoo-owned social media site offers three ad products. Sponsored posts: Sold on a cost-per-engagement basis, these posts look like regular Tumblr posts, but they can be targeted to a specific audience. Sponsored videos: These are just like sponsored post except they're in video format. and sold on a cost-per-view basis. Sponsored Post + Yahoo: The post can be syndicated so you can tap into Yahoo's 800 million unique monthly visitors. This site can be one of the most difficult for companies to master since the audience is mostly teens and millenials. This demographic often opposes corporate intrusion and can post potentially offensive material. However, a company that can embrace the uncertainty with a message that resonates can prosper. Best for: The site is best suited for companies that sell products which appeal to millennials. Starbucks, J.C. Penny and AT&T have all recently run major ad campaigns on Tumblr. Click through rate: Although CTRs are difficult to find, a recent study shows that this social media site is second only to Facebook in revenue per visit, and it outperforms Twitter and Pinterest. In addition to its Adsense contextual ad product, Google Plus offers another way to advertise. +Post ads: This ad product is available for any advertiser with 1,000 or more followers. These ads are unique in the sense that a company uses their Google+ content -- like a video or photo -- to create an engagement ad which runs across the Google ad network. With more than 540 million active monthly users, Google Plus is difficult to overlook, especially since it can help tie together organic Google searches with a company or product. +Post ads can also be used to promote a Hangout. Best for: Advertising on this platform seems to be more about the approach than the market or industry. Companies like Toyota are using +Posts to humanize their company and interact directly with their target market. Click through rate: Since this product is still relatively new, click through rates were not yet unavailable in summer 2015. One of Google's most popular products is an ideal place to showcase a company's skills, services and products. YouTube currently offers three types of ads. These ads can be set up to target by age, location, subject matter and more. in-display ads, which appear in the search results. Display ads: These 300 x 250 or 300 x 60 ads appear to the right of the video. Overlay ads: As the name suggests, these ads are placed on top of a video at the bottom of the screen. A company can create brand awareness and establish expertise by uploading videos that showcase its expertise, offer industry tips, answer FAQs, or show off a new product. Best for: This is one of the few social media sites that can work for nearly every business type and industry. However, keeping the videos short and to the point is definitely a good practice. Click through rate: Although the click through rates are difficult to nail down, one recent study stated that YouTube had the highest conversion rates of all social media sites. One of the key advantages of social media advertising and marketing is the ability to develop strong brand awareness and loyalty while utilizing the wealth of readily available user data. In general, the success of a company's ad campaign is tied to clearly defined goals and the level of engagement with their fan base. Companies that engage on a consistent basis by providing useful, original content are more likely to reap benefits. 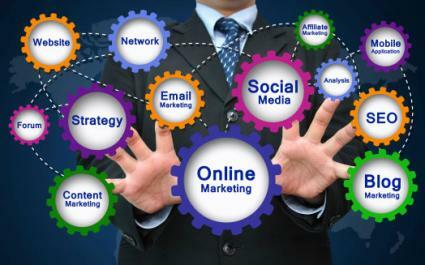 Successful ad campaigns on social media accomplish one or more of these objectives. They have a message that resonates with the audience. They have original, compelling and useful content for the intended audience. They have strong, original photography or artwork. They have a call to action. Due to the sheer volume of content being shared across social media, a company can stand out from the competition in several ways. One mistake many small businesses make when venturing into the social media world is tackling too many platforms at once. In a Forbes Magazine article, Steve Strauss, author of Small Business Bible, recommends selecting a single social network and mastering it. This network should be the one that most closely aligns with your business. Once you settle on the platform, set realistic goals and make 80 percent of your content information what your clients are interested in. This is sound advice for any marketer who wants to benefit from advertising on social media.